In collaboration with the Montreal International Poetry Prize, Montreal Books Press is pleased to announce the release of The Grasshoppers' Silence, a limited edition print by American artist Eric Fischl. 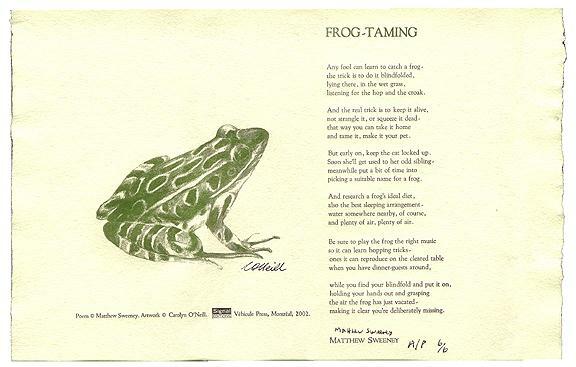 Inspired by a poem by Canadian poet Linda Rogers, the print is hand-signed in pencil by Fischl and Rogers, limited to 100 copies only, and printed on Hahnemühle Photo Rag. Montreal Books created the Signal International Broadside Series, a series of 10 broadside poems by 10 internationally-acclaimed poets. 100% rag paper, hand-made by Papeterie St-Armand, Montreal. Hand-set in Goudy typeface and printed letterpress by Pierre Filion. A) Poem Alone, 11"x17", signed by poet, 1/50. B) Poem and illustration, 17"x22", signed by poet and artist, 1/50. C) Poem and illustration, 17"x22", signed by poet and artist, illustration hand-painted, 1/26. 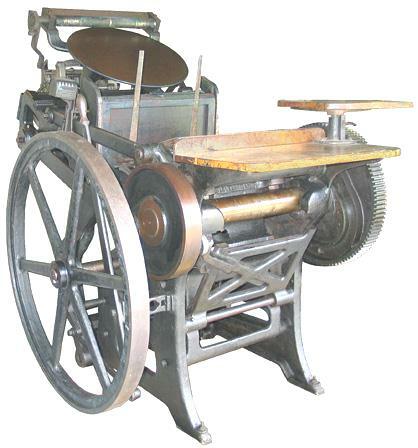 Montreal Books runs Montreal Books Press and also produces the Signal International Broadside Series.